PA chairman hospitalized for several hours for what officials insist was a routine checkup. 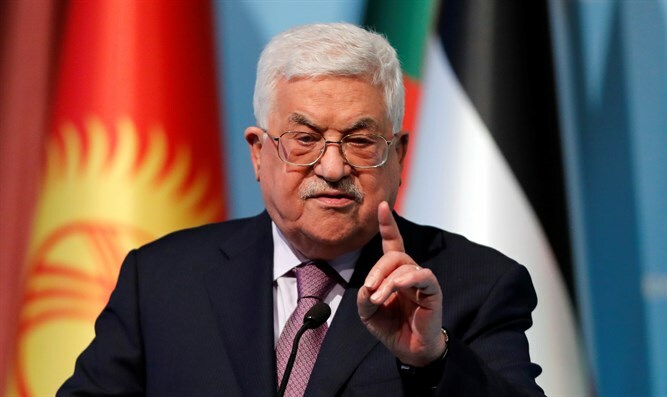 Palestinian Authority (PA) chairman Mahmoud Abbas went into hospital in the United States for a routine check, a senior PA official told Reuters on Thursday. “He is in the hospital now doing ordinary checks,” the official said by telephone, without providing further details. Hadashot (formerly Channel 2 News) reported later on Thursday that the PA chairman was released from the hospital and would be returning to Ramallah. Earlier, reports had surfaced that the PA chairman had to be rushed to hospital due to a deterioration in his health, reported Yediot Aharonot, but Fatah officials denied those reports. The rumor started on American website Jewish Insider, which reported that Abbas was hospitalized at the Johns Hopkins Hospital in Baltimore after a short flight from New York, where he gave a speech to the UN Security Council earlier this week. Shortly after the report on Jewish Insider, Fatah released an official statement denying it and stressing the PA chairman was undergoing a routine checkup, noted Yediot Aharonot.